For over 21 years, James has focused on state and local tax issues including state and city sales, use, gross receipts, privilege, excise and severance taxes, as well as income, real, and personal property taxes. Before entering private practice, James served as Chief Auditor and Principal Tax Analyst for the Transaction Privilege (Sales) and Use Tax Division of the Arizona Department of Revenue. He has advised and represented clients of all sizes and from many industries in a wide range of tax matters. During his time at the Department of Revenue, James argued and settled cases for the Department, advised the Director on tax policy issues as a member of the Uniformity Committee, and acted as liaison to the Attorney General’s office. As Chief Auditor, he administered Arizona’s sales, use and severance tax audit programs, including the Cities Program, which conducts audits for 74 Arizona municipalities. 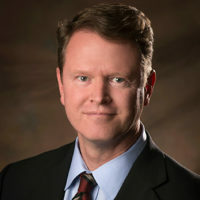 James co-authored the Judicial Review of Taxation chapter in the Arizona Appellate Handbook published by the State Bar of Arizona, and lectures extensively on state and local tax topics. Some of the state and local tax services James provides include: • Amnesty and Voluntary Disclosure Negotiations • Assistance with Controversies (Audits, Appeals, Negotiations & Litigation) • Credits and Incentives • Due Diligence and Planning for Mergers and Acquisitions • Nexus Studies • Personalized In-House Training • Private Taxpayer Rulings • State, County and City Taxes, including Speculative Builder Taxes • Tax Policy Assistance (Review, Analyze, and/or Draft Proposed Legislation) • Tax Reviews (Reverse Audits) and Refund Claims • Transactional Analysis and Strategic Planning.